Carolyn Luey is the Consumer Director, Vodafone NZ. Before this, Carolyn was the General Manager, Enterprise Solutions & New Zealand at MYOB and is responsible for MYOB in New Zealand and its Enterprise Solutions business across Australia and New Zealand which is focused on delivering technology solutions for large businesses. MYOB is a technology business that is focused on helping businesses succeed across Australia and New Zealand through delivering intelligent, intuitive tools that make business life easier. Prior to joining MYOB, she held executive roles at NZME one of NZ’s leading media organisations as Chief Operating Officer responsible for operations across the digital, radio and print and Group Strategy and Operations Director where she brought together the technology group through the transformation to NZME and was responsible for strategy, product and development of new businesses. 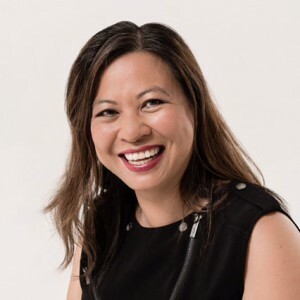 One of the key strategies she lead for NZME was the development of the ‘Diverse Audience’ strategy to enable NZME and its’ clients to connect with all New Zealanders and the growing Asian community. At The Radio Network, as Group General Manager Product, Digital and Technology she grew the digital business and launched iHeartRadio in New Zealand. Carolyn has also worked at Telecom New Zealand in marketing, strategy and product roles. Carolyn has over 15 years of experience in digital media, strategy, product management, marketing and business development across a range of industries including fast moving consumer goods, telecommunication and security services.